The essential mid-length kilt camel & black to wear for all occasions! 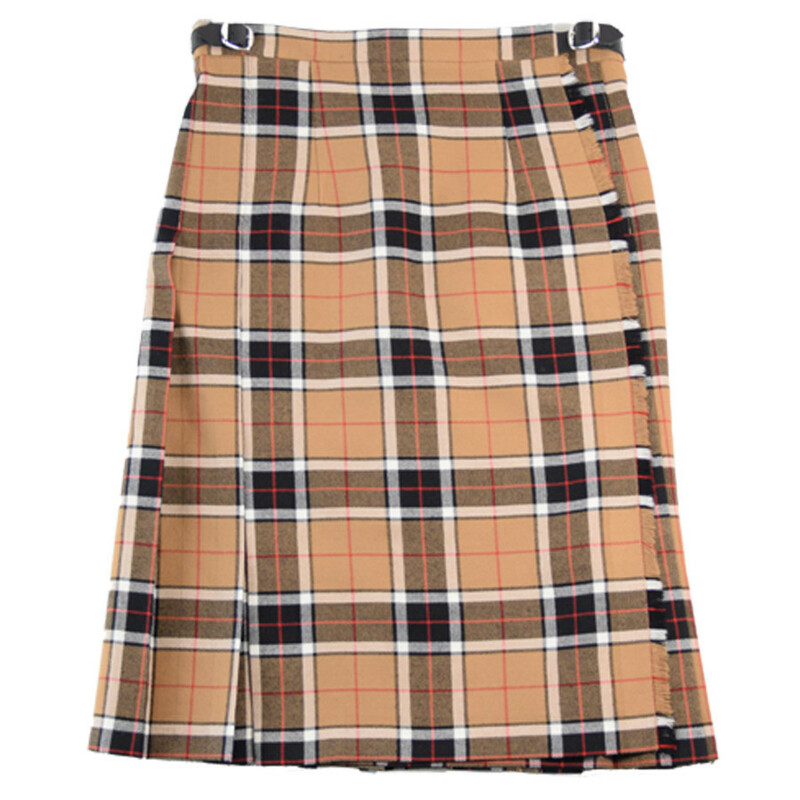 The traditional kilt is also suitable for women, it is worn for Scottish ceremonies according to their tradition. The size is adjustable thanks to 2 black belts and is woven 100% wool. 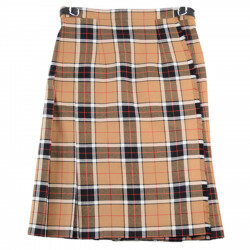 The kilt was banned in 1746 following the Battle of Culloden by the British. The ban was lifted in 1782 and the kilt was then adopted by the Scottish aristocracy. This article is a special order. Sizes may still be available in our shops or delivered within 3 months by our supplier. Please contact our Customer Service 02 98 85 47 37. Please specify the French size when ordering.